Why Don't US Women Medal in Figure Skating Anymore? That's where the American women placed in the Olympic figure skating finals, the worst performance by Team USA's women at any Olympics. And it's been some time coming. The United States has not had an individual women’s figure skater stand on an Olympic podium since Sasha Cohen won the silver medal in 2006. For a nation that dominated the sport, winning seven of the 12 Olympic medals awarded from 1992-2002, the results have been disappointing. American figure skaters were often the breakout stars of the Games, from the Tonya Harding-Nancy Kerrigan saga through Sarah Hughes’ gold medal at the 2002 Salt Lake City Olympics. Kristi Yamaguchi won gold in 1992, while Kerrigan persevered over an attack to take silver at the next Games. A 15-year-old Tara Lipinski stunned compatriot and gold medal favorite Michelle Kwan in 1998, and Hughes was the surprise winner four years later. But after Cohen won silver in Turin, Americans were shut out at Vancouver, Sochi and now Pyeongchang. The best that American women did in that span was fourth place: Mirai Nagasu, then just 16, in 2010 and Gracie Gold in 2014. In Pyeongchang, Bradie Tennell came in ninth, Nagasu 10th and Karen Chen 11th. The last time the top female U.S. skater finished below fourth place in the Olympics was 1964. This year's Olympic gold medal went to 15-year-old Alina Zagitova, while 18-year-old Evgenia Medvedeva took silver. Will 20-year-old Tennell, 24-year-old Nagasu or 18-year-old Chen even qualify for the U.S. Olympic team in four years? Or will they be overtaken by younger skaters who are willing to take more risks? 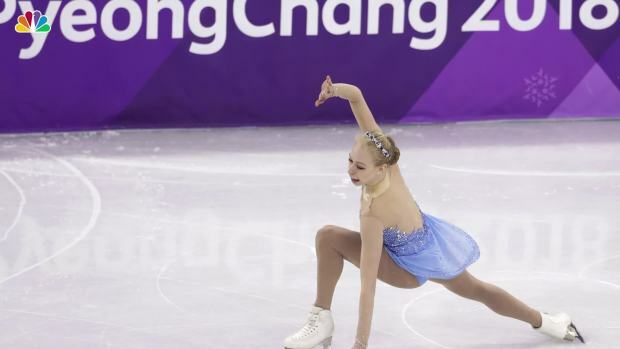 Three experts familiar with the international skating scene said the problems boil down to a lack of consistency from American skaters, less organization from the American figure skating system and a failure to adapt to a new ruling system. U.S. Figure Skating didn't return requests for comment. In 2002, the year of America’s last women’s gold medal, a judging scandal in the pairs’ competition shook up figure skating. By the time the 2006 Olympics rolled around, the International Judging System was in place. A skater’s score in the IJS is based on the total of the technical score, in which each element of a program is assigned a base point total, and five additional program components: skating skills, transitions, performance, composition and interpretation of the music. One of the judges in the women’s competition in Salt Lake City said he was happy to see the new system implemented because the pressure on judges was so great in the 6.0 system that figure skating formerly used. The IJS incentivizes skaters to rack up points on their technical scores, especially in the second half of a skate, when jumps receive a 10 percent bonus. That's why, in men’s figure skating at the Pyeongchang Olympics, competitors loaded their programs with quad jumps, and why Medvedeva and Zagitova, who put most or all of their jumps in the second half, were so far ahead of the field. It's a scenario that can force a veteran skater like the 24-year-old Nagasu into performing a routine she isn't 100 percent comfortable with. But implementing the IJS led to trouble within U.S. competitions, too, according to former Olympic coach Audrey Weisiger. She said that, for years, the U.S. didn't do anything at the juvenile and intermediate levels of skating to counteract how the system dis-incentivizes difficult jumps by penalizing falls. It made the younger skaters cautious, since one mistake on a jump would mean they’d lose to a less gutsy skater who focused on artistry. The quad-jumping teenage phenom Nathan Chen is the kind of skater Weisiger would like to see more of. He has a strong artistic background thanks to dance and piano lessons and his six attempted quad jumps in the Pyeongchang free skate, five of which he landed, are evidence that he’s not afraid to take risks on big jumps. Canada is a good model for what the U.S. can be, said Weisiger, who coached American Olympian Michael Weiss and now holds figure skating seminars around the world. Their scoring system has long given bonuses for young skaters attempting difficult tricks that the U.S. just adopted about two years ago. While two years might not have been enough time for American skaters to adjust, Nagasu's coach, Tom Zakrajsek, thinks that given a full Olympic cycle to adapt, it might be a different story for Team USA in four years. The president of U.S. Figure Skating, Sam Auxier, said in an interview that America could start to make strides sooner, at world championship events before the 2022 Olympics. In addition to having a scoring system that is better adapted to the IJS, Weisiger said the United States' neighbors to the north do other things better too. “Canada, in their infinite wisdom, has made it mandatory to learn all the different takeoffs” as juveniles, Weisiger said. She and Haddad also pointed out some cultural elements that they think have contributed to the American decline, including a lack of state and school funding for figure skaters. Bradie Tennell dressed up as Cinderella, her favorite Disney princess, for her last performance in these Games. Tennell started out strong but stumbled with a few of her tricks in the middle of her routine, earning 192.35 points overall. Haddad, who skated at the 1992 Albertville Olympics and is now a choreographer and performer at Ice Theatre New York, thinks the incentive for skaters to train hard in nations that have improved in recent years, like Russia and China, is greater than the incentive American skaters have. One missing link that she highlighted was off-ice training to develop both power and artistry. Russian women get that, and “they have the explosiveness of a gymnast with the beauty of a dancer and the skating skills of an ice skater,” Weisiger said. Beyond their mastery over the IJS, their ballet background and the way they train, one thing is inarguable about Medvedeva and Zagitova: they are always on. Consistency has been hard to establish. 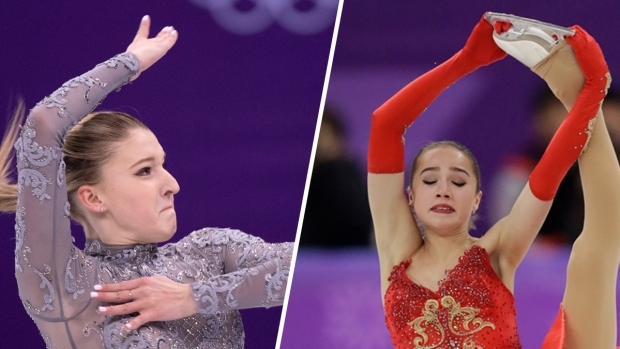 Inman described Tennell, who finished ninth in women’s figure skating in Pyeongchang, as America’s most consistent skater right now. But Tennell has dealt with injuries, and only recently burst onto the scene as U.S. national champion. Weisiger thinks Team USA can make up the ground it has lost as soon as the next Olympics, Beijing 2022, thanks in part to young skaters like Alyssa Liu taking more risks now that they have the right incentives.